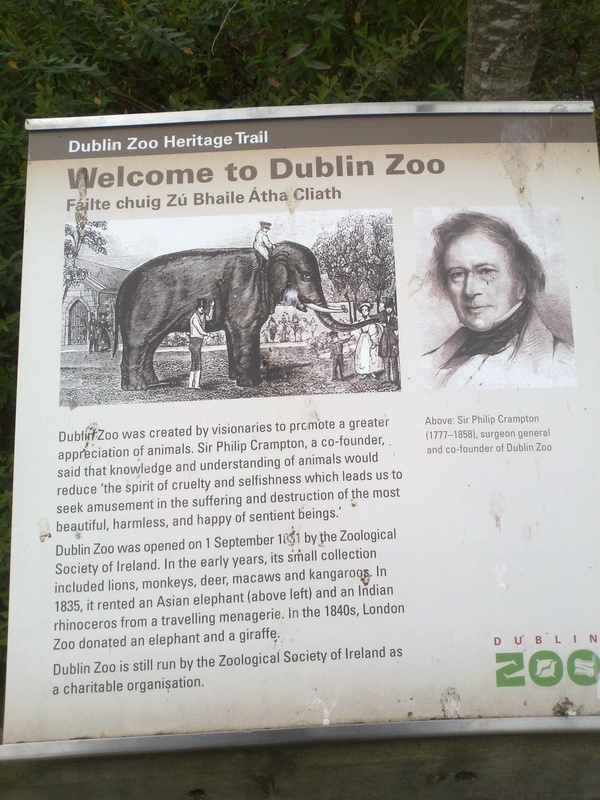 A few weeks ago, I was in Dublin on business and with time on hand, I took a trip across to the Phoenix Park to visit Dublin Zoological Gardens. 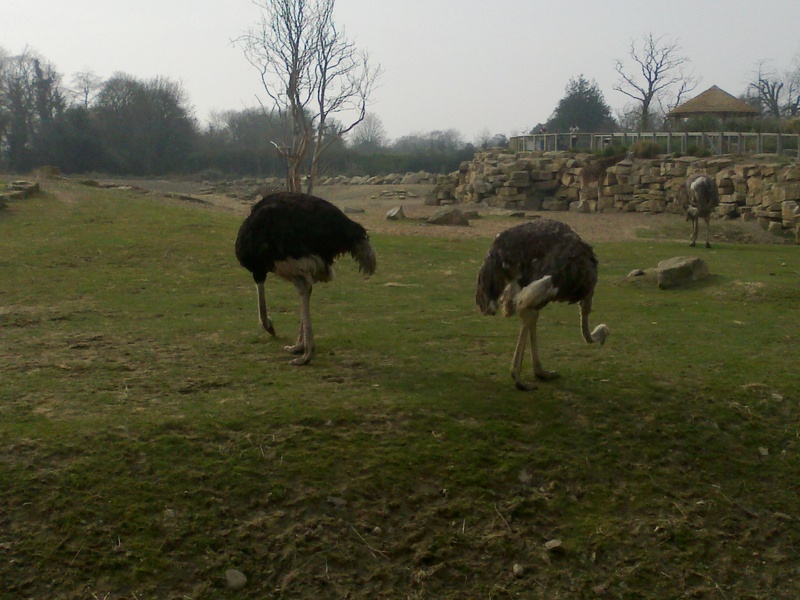 Being a beautiful day, it gave me a good opportunity to see most of the animals out in their open spaces. Having not been there since 1973, it was great to see the progress that had been made in the interim and I was very impressed. It is a pity that wild animals are taken from their natural habitats, but in some cases, it has become a necessity, thanks to ever present threats of poaching and habitat devastation. The foresight of Dr Crampton and others to make this facility available at a time when only the very few were privileged enough to travel to exotic places has to be lauded. 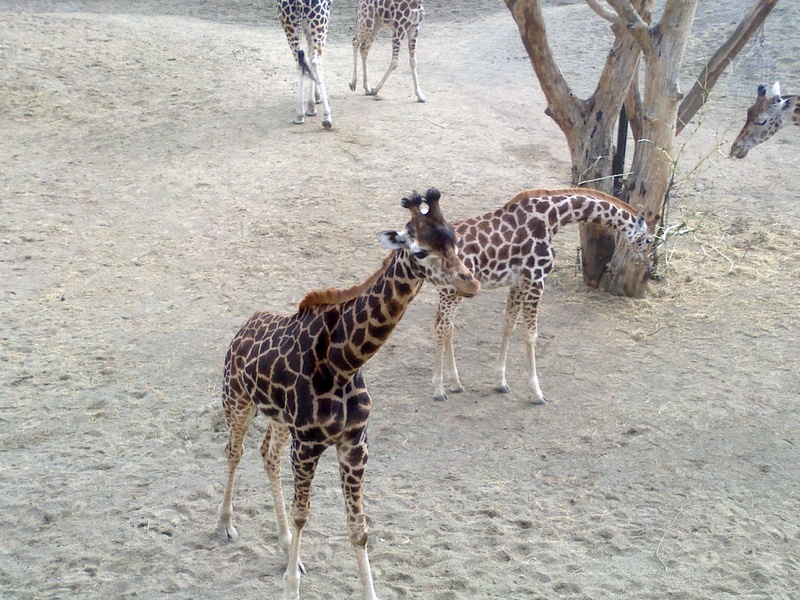 Certainly, early zoo practices would make most animal lovers today cringe but the zoo of 2012 is a worthy descendant of the 1831 version and run in a professional and caring fashion. 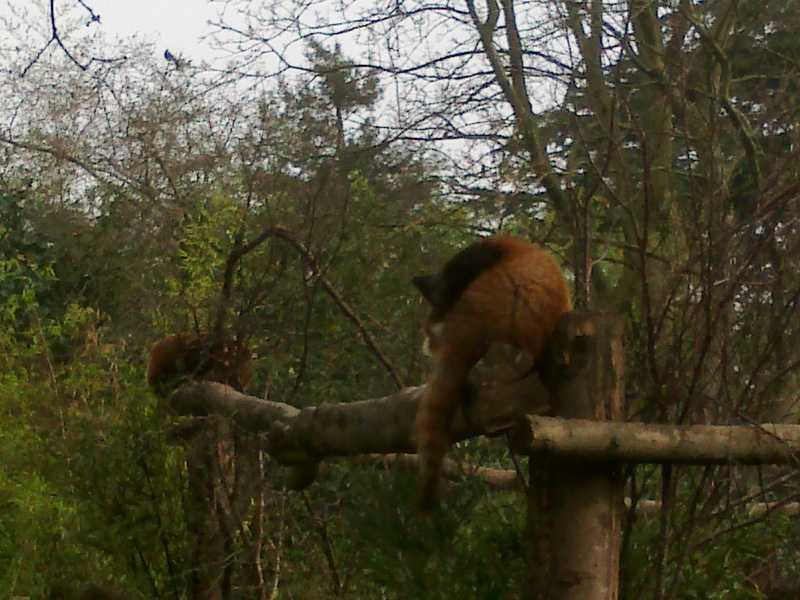 One of the main attractions are the Red Pandas, who have been bred successfully at the Zoo. The main diet of these Chinese natives is bamboo leaf. They are under threat of extinction due to human activity clearing their forests. 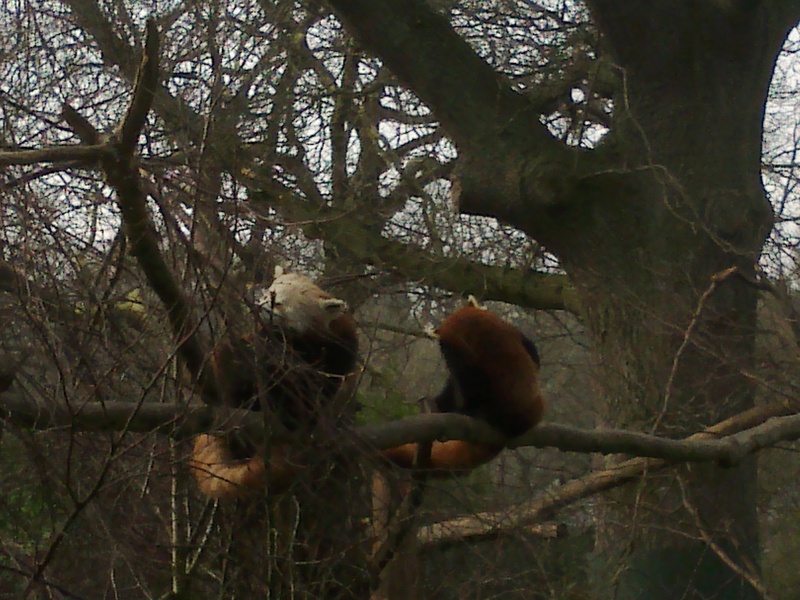 The parents in Dublin are Beijing and Bamboo. 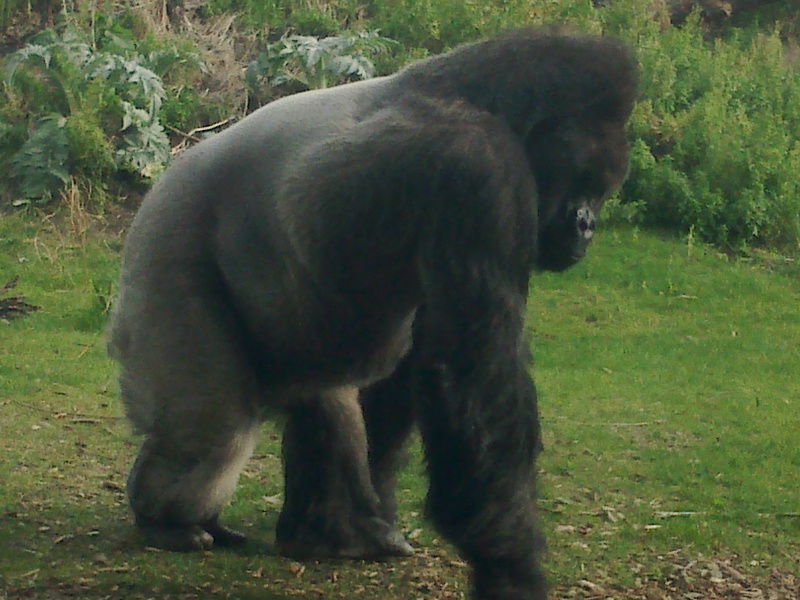 The Western Lowland Gorilla is another species under threat. 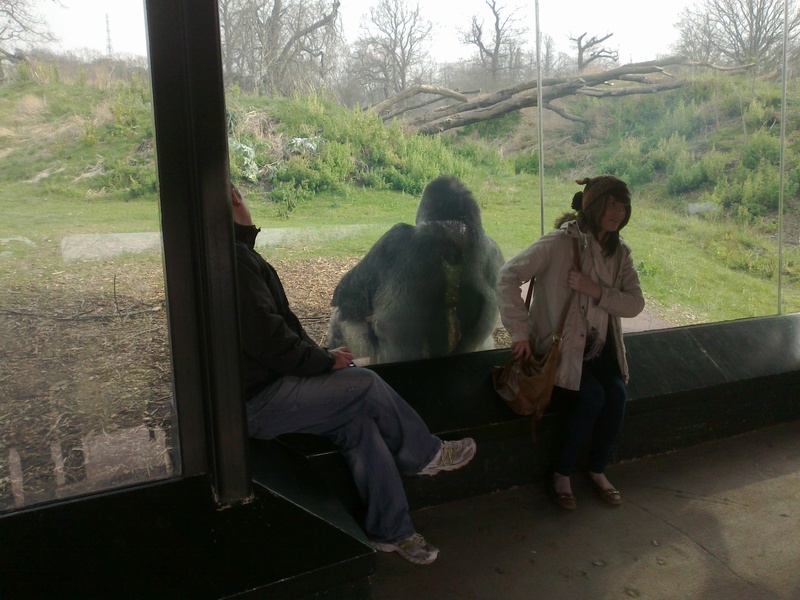 These highly social animals operate in small family groups under the protection of the Silverback alpha male. 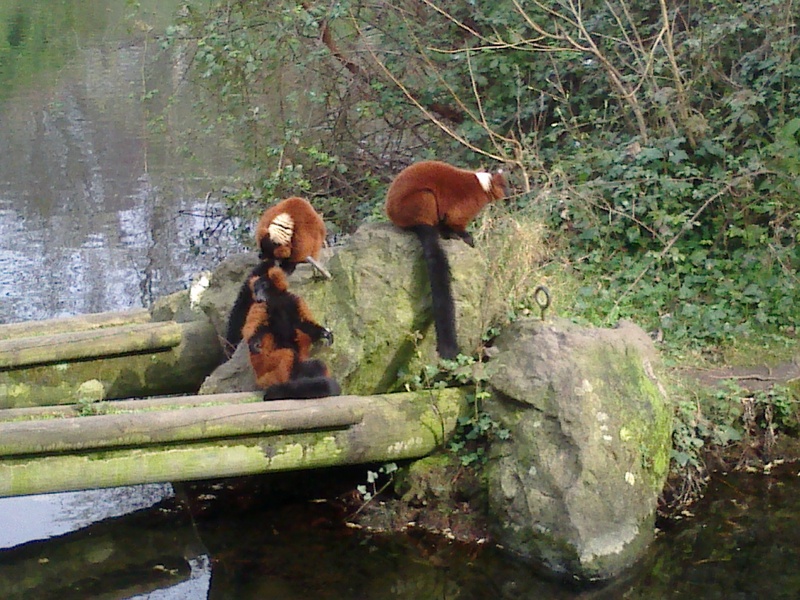 A party was held for baby Kituba’s 1st birthday over last weekend, a major success in the Zoo’s breeding programme. Unfortunately, the birthday boy wasn’t around on my visit. 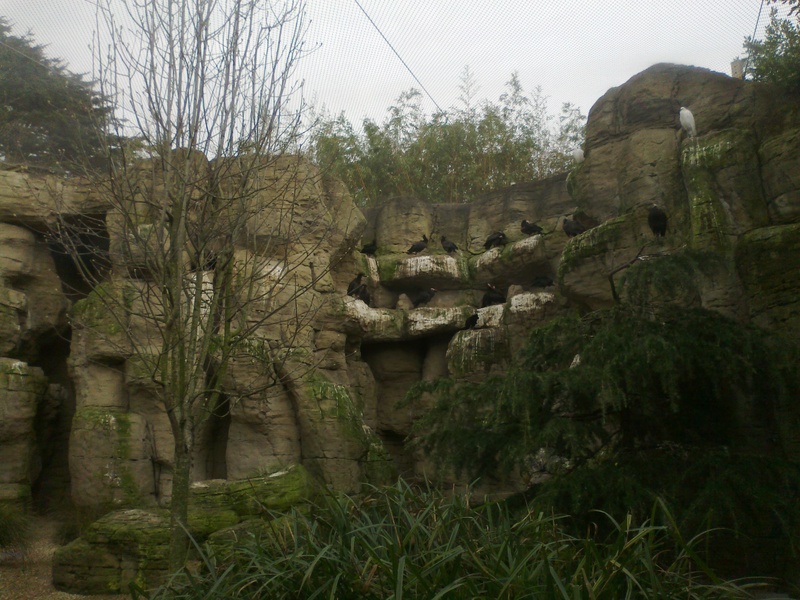 Is this really Dublin Zoo? 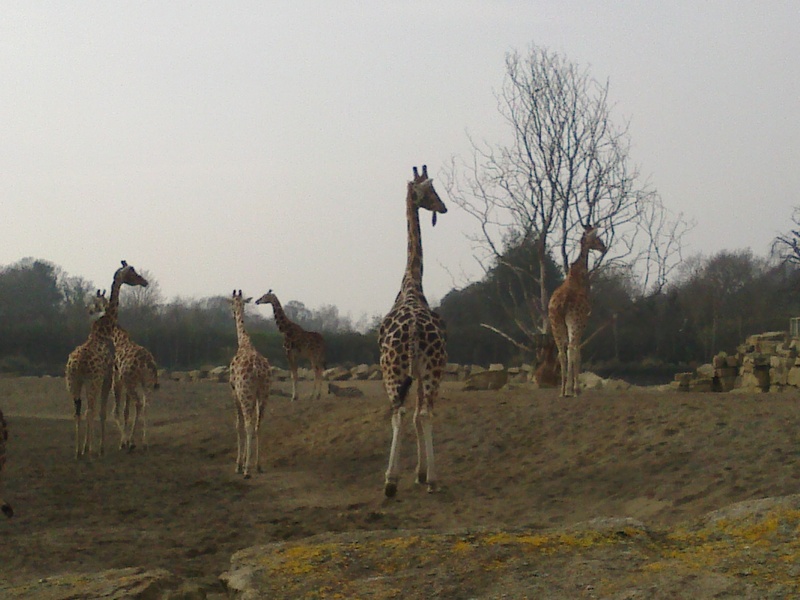 The African Plains area was a wonderful open display of African animals such as the Giraffe, Ostrich, Oryx and Rhinoceros. 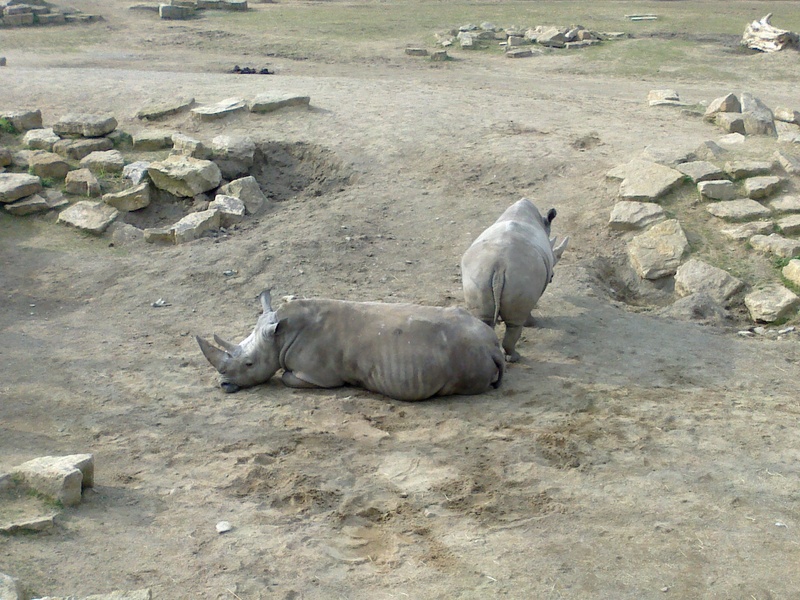 One of these, the Southern White Rhinoceros is in serious danger of extinction, with poachers able to fetch obscene amounts of money for their horns. It is so lucrative that even trophy heads taken by hunters over a century ago and housed in museums are being targeted. 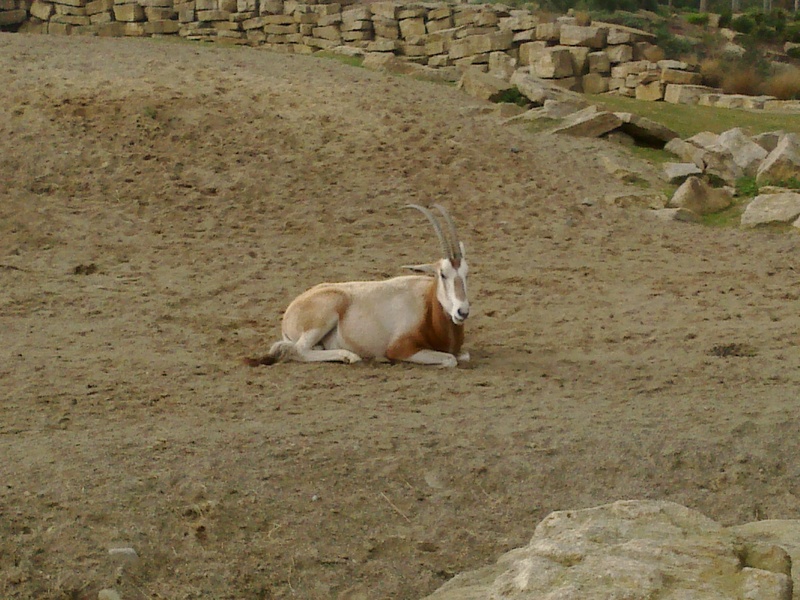 The Oryx was virtually extinct in its Sahara habitat and is now recovering through mnagaed programmes. Watching the graceful gait of the Giraffes as they wandered around their “range” and came up to eyeball their human visitors, I felt that I was almost in Africa. 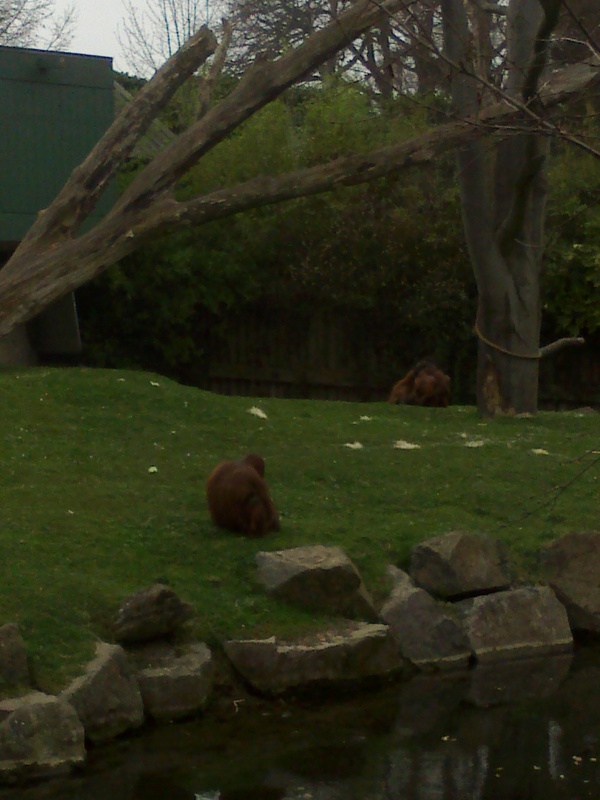 The other animals in this area pretty much ignored us. Snow Leopard in shade from the hot March sun. Away from the African Plains, many other species are threatened by man’s greed or need to expand habitation and none more so than the Tiger, prized for his pelt and body parts. 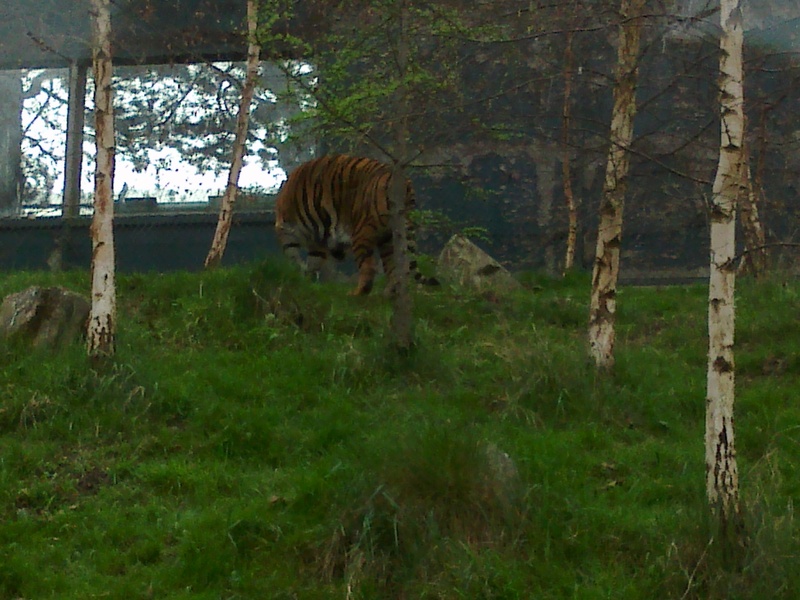 With examples of the largest (Amur) and smallest (Sumatran) tigers, both of whose numbers might not be much more than c.200 in the wild, Dublin Zoo is providing an opportunity for its visitors to see an animal they will have little or no chance of seeing in their natural environment. Lemurs and Orang Utans are in danger of extinction due to forest clearing on a massive scale. In Turkey, the Waldrapp Ibis is being managed in a semi-wild programme with small wild colonies in Morocco and Syria, having once been widespread around Southern Europe and the Middle East. It is reckoned there are no more than 500 pairs in the wild. The Lion is still king of the jungle and mainly survives nowadays thanks to various managed National Parks, having disappeared from many of its traditional ranges. 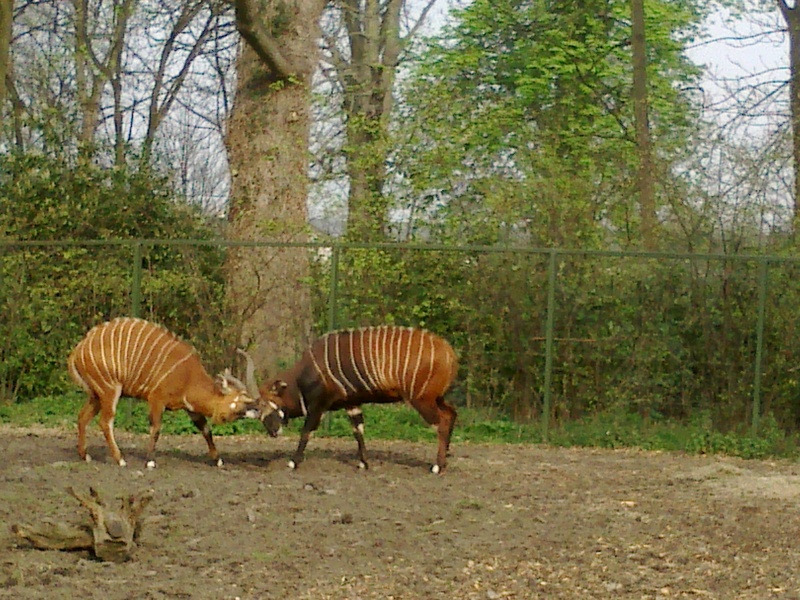 The Eastern Bongo, an antelope with attractive horns and stripes is found only in a remote area of Kenya with demand for their horns and meat, as well as forest clearance the main threats to their continued existence. 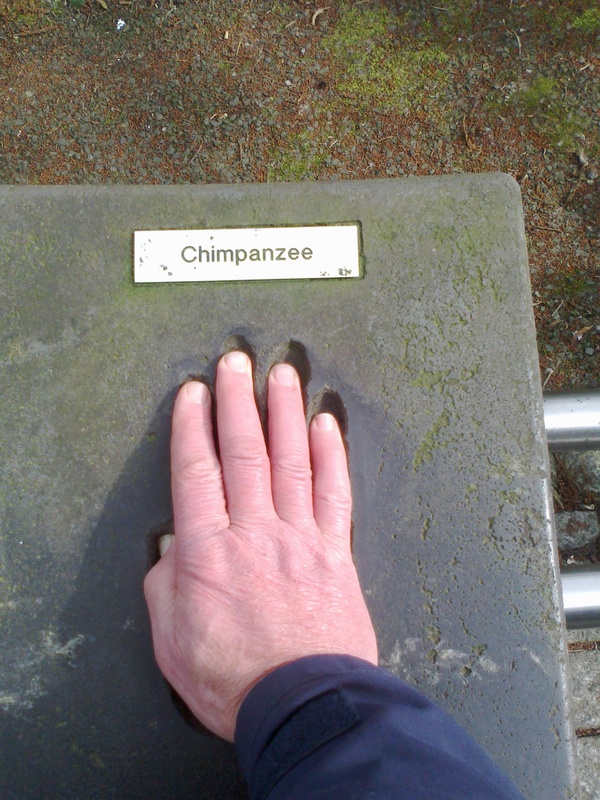 Man’s closest relative (genetically speaking 98% similar) is the Chimpanzee and to prove the point, I placed my hand on the print of a Chimp – it was almost a perfect fit. Us human apes have just developed a bit faster than our hairy cousins, but if we are wiped out and enough of them survive, maybe they’ll step into our shoes in a future eon. 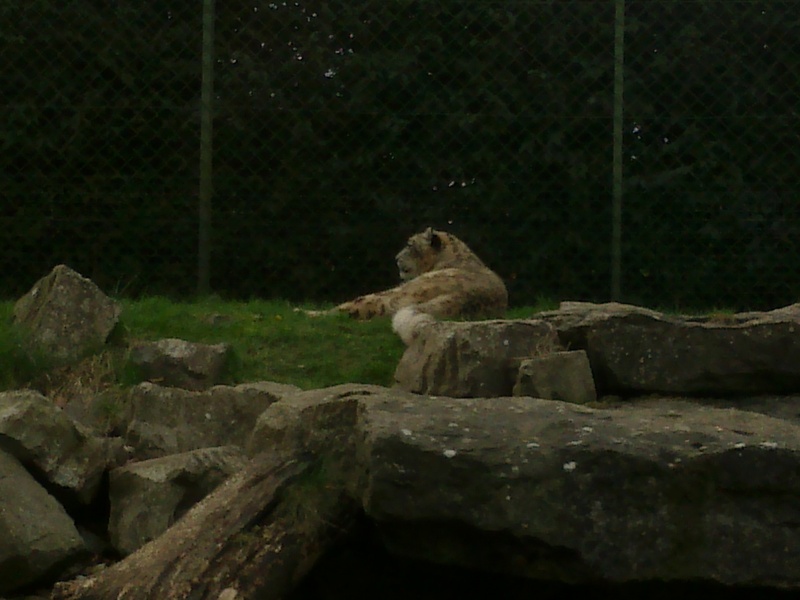 My visit to the Zoo was an enjoyable experience and I was surprised by the large number of foreign visitors wandering around the various areas. 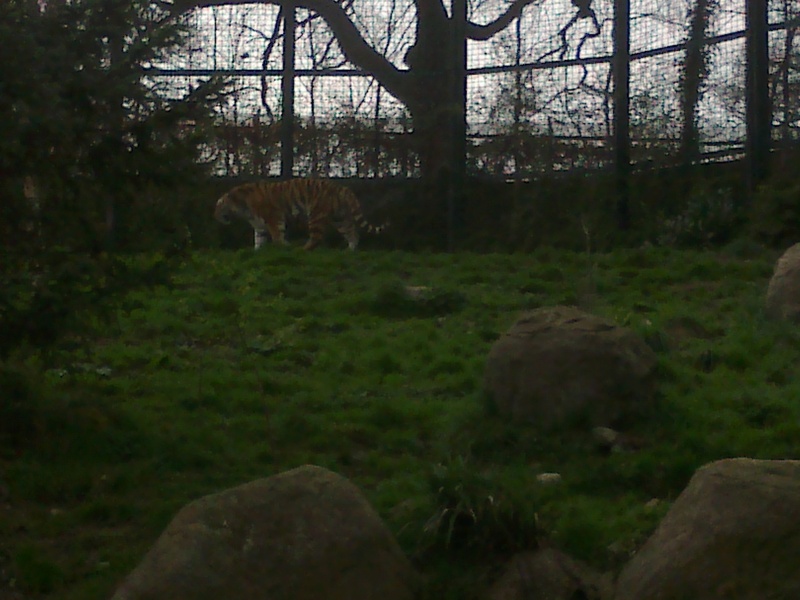 Certainly, despite the validity of the contra argument of keeping wild animals in captivity, I found the animals in Dublin Zoo to be in a healthy state and it was a joy to see them live instead of on the many TV documentaries that bring them into our living rooms. 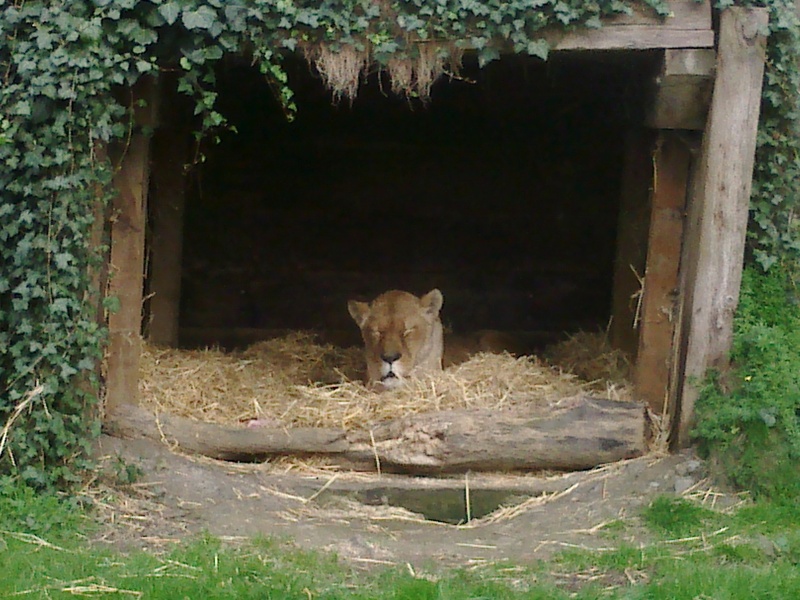 Well managed Zoos offer a valuable service for urban populations by creating awareness of man’s threatening behaviour to our animal co-existants on this planet and provide a chance of saving some almost extinct species, albeit away from their natural habitat. Go along and make your own mind up. How blows the Wind for Wicklow Harbour?